Going camping? 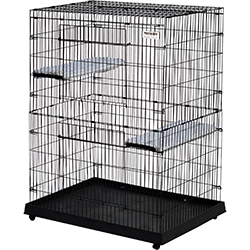 This "Great Crate" Soft Side Crate is your pet's home away from home. 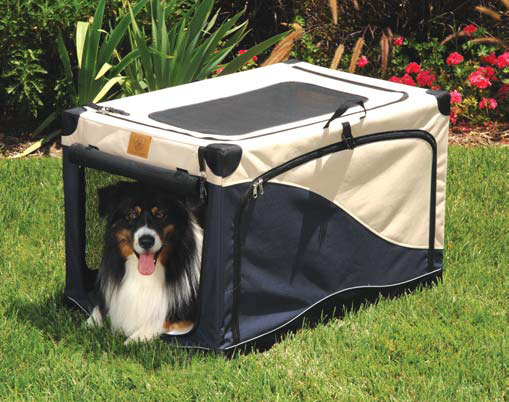 The Soft-Side Crate makes it easy to take your dog where ever you may go. 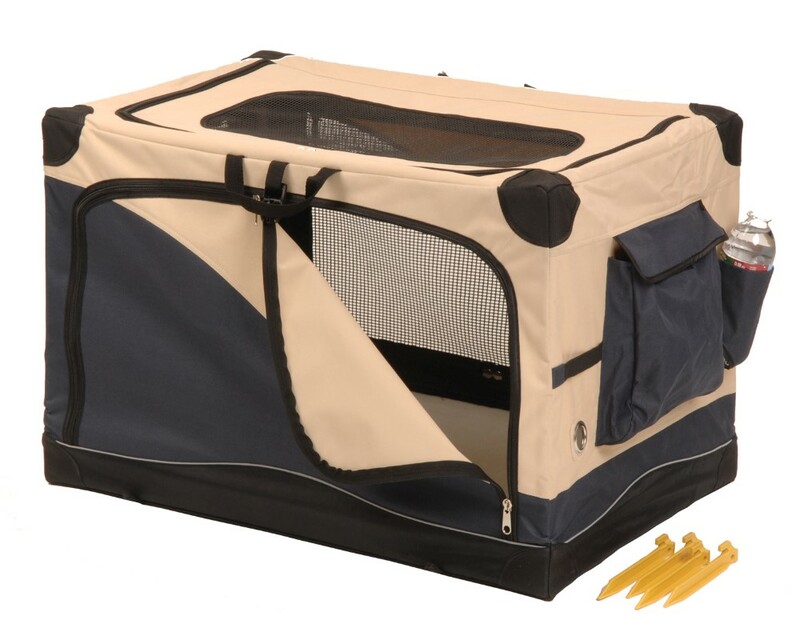 This portable home for your dog is water resistant and includes ground stakes and a free convenient carrying case. Steel tubular frame, wrapped in epoxy coating makes this unit heavy-duty and long-lasting. Requires no tools: Quick and easy setup. When done, just fold, then store. 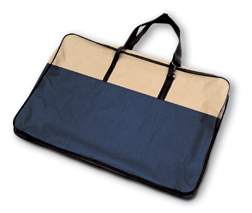 The hygienic plastic floor will not absorb moisture or odors, while side and rear pockets provide accessory storage. Removable sheepskin pad zips out and is machine washable. 4 zippered doors offer full access and complete ventilation. Non-skid feet protects tile and wood floors. Safe, secure and comfortable.